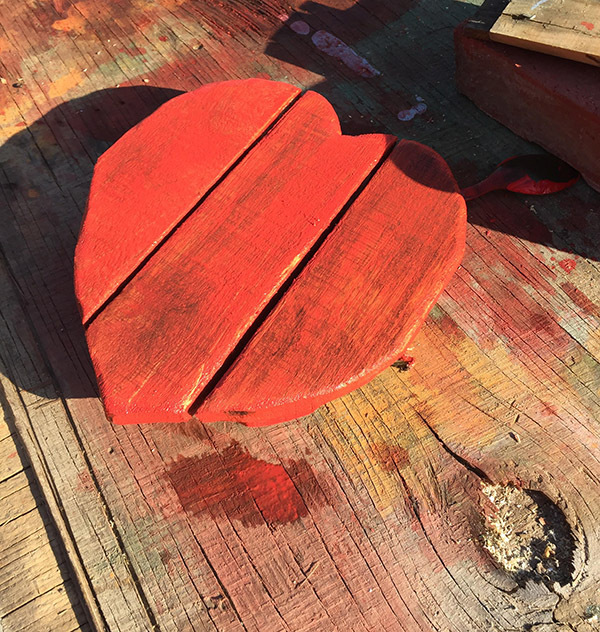 Valentine’s Day is next week so we collaborated with one of our favorite volunteers, Bill Handley of Unbdot, to create a reclaimed wood heart that doubles as a vase! Learn how to make it and give a gift that comes from the heart. 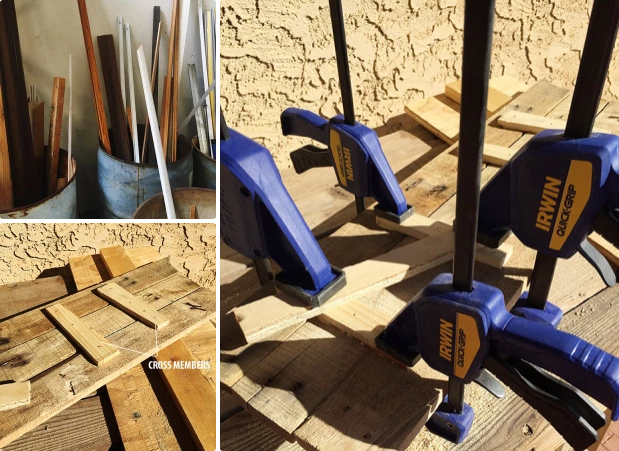 For the project, Bill rummaged through our reclaimed wood bins as well as salvaged wood from a pallet to use for the project. The amount of wood you’ll need depends on how large you want your heart. Bill used about 60 inches in length of wood. 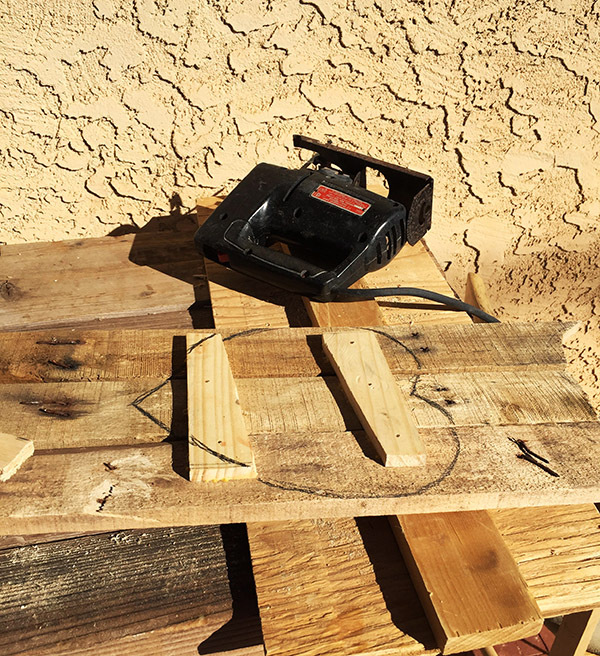 Once you have all the wood you need, attach the pieces together with glue and small nails. Next attach cross members to the back of the wood, clamp the cross members. Now you’ll want to trace your heart, if you’ve got some drawing skills you can free hand it or use a stencil. Using your jigsaw cut out your heart shape from the wood. Next is paint! You can go traditional with red or get creative with your color choice. Bill chose to create his own stain by mixing red latex paint with a 10-1 water ratio to create a red stain. A stain is a great option if you want the more rustic feel! Now that you have your heart made, you need to attach a heavy wood base to it in order to keep the heart sturdy. Using your hammer and nails attach the heart to the base. Bill used the excess wood from the cutout to add a cross member to the bottom of the base. The last step is to drill holes into the base so you can add flowers. 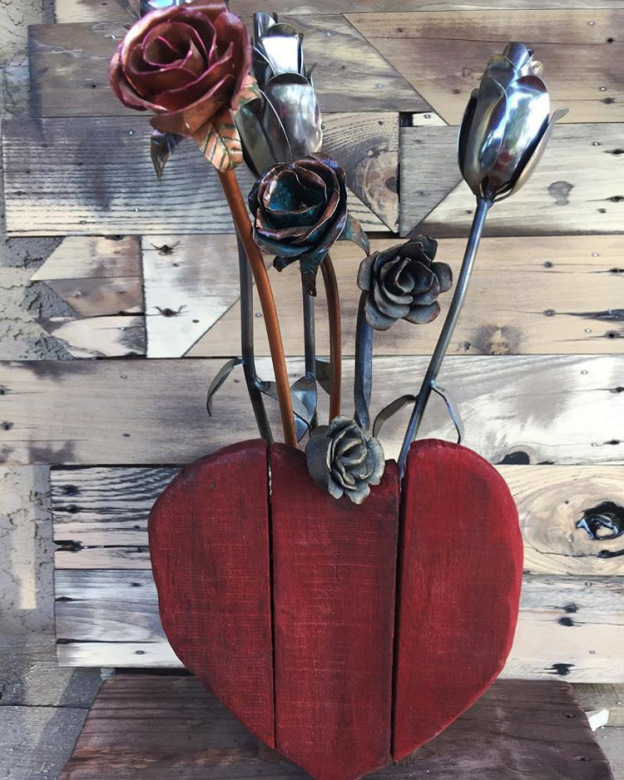 If you don’t have the time to make roses out of salvaged metal, like Bill did, you can add fresh-cut ones! Enjoy!